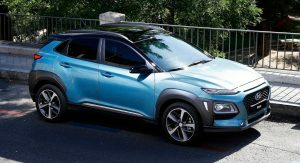 Subcompact crossovers are all the rage these days and after announcing the Kia Stonic last Tuesday, the Hyundai Group has just revealed its sister model, the 2018 Hyundai Kona. Entering one of the most competitive segments in the market with rivals like the well-established Nissan Juke and the newer Toyota C-HR, Honda HR-V and Jeep Renegade just to mention a few, the Hyundai Kona will be sold around the world. It will first go on sale in Korea later this month, followed by Europe later this year and North Americas in early 2018. 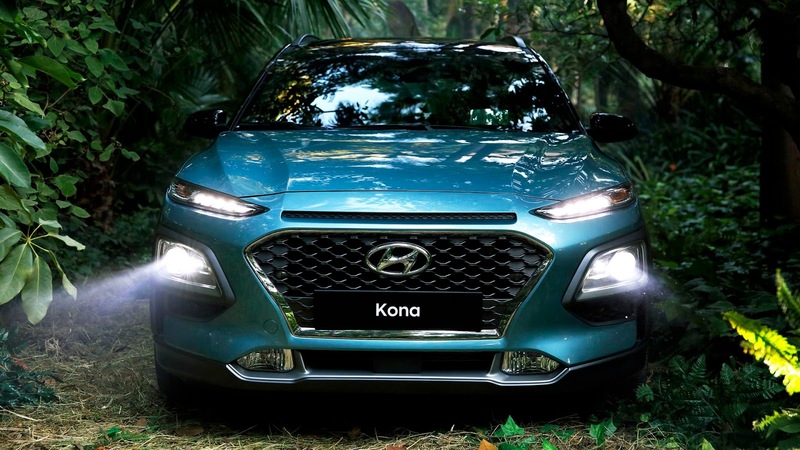 Named after the coastal region on the Big Island of Hawaii (albeit with a different meaning in Portugal…), the Kona has a bold face, though some may find similarities with other competitors, and a relatively muscular body with the usual protective cladding we find in this class. Naturally, LED units are found on both ends, as are chunky wheels with Hyundai to offer a few different designs. It’s a modern looking small crossover with the Koreans saying that they designed the car to appeal to millennial buyers. 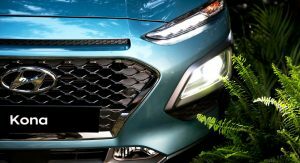 While Hyundai held back on interior photos, we got a first glimpse of the cabin through a set of photos that were shared on the web earlier today. 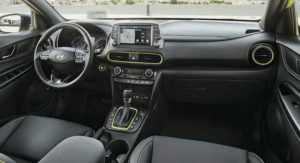 The interior styling is more sober than the exterior, despite the trendy yellow accents on the display model. What about tech features and gadgets? However, it’s the gadgets it packs that Hyundai believes will win over younger, more tech-orientated buyers, beginning with the infotainment systems that include Android Auto and Apple CarPlay compatibility, HD Radio, rear camera, and 4G telematics with a 5-, 7- or 8-inch display. 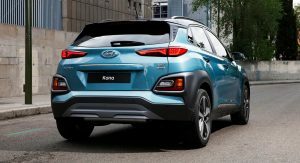 In a first for the segment, the Kona brings smartphone wireless charging as an option with the system indicating when the phone has fully charged and even if you’ve left it in the car while exiting. Another new feature is a combiner Head-Up Display (HUD), which instead of projecting data directly on the windshield, it does it on a retractable piece of glass that hides behind the gauge cluster when not in use. Information projected includes speed, navigation instructions, Lane Departure Warning messages, and audio data. 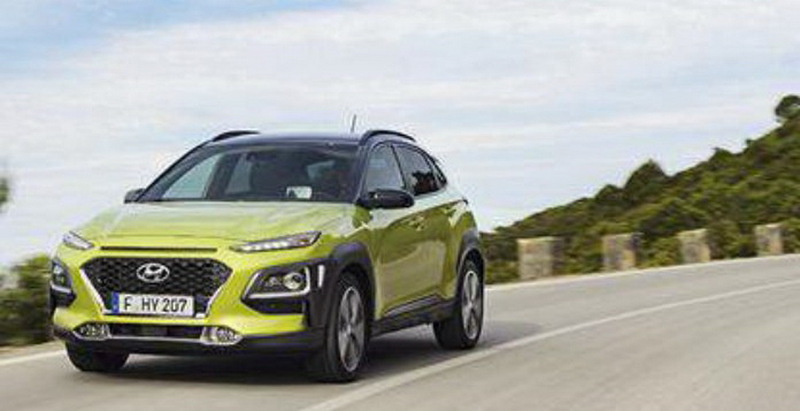 On the safety front, the Kona will be available with a bunch of active systems. 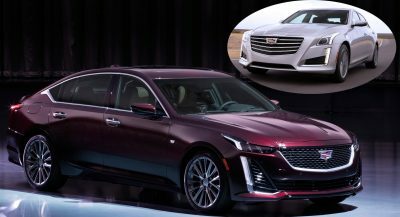 These include the Forward Collision-Avoidance Assist (FCA), Lane Keeping Assist (LKA); High Beam Assist (HBA); and Driver Attention Warning (DAW), all of which utilize the front-facing camera and radar. The car’s radar systems also assist with the Blind-Spot Collision Warning (BCW) to sense approaching vehicles that may be obscured from view during high speed driving. 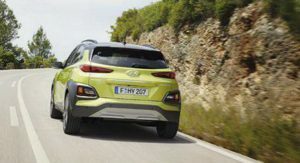 The Rear Cross-Traffic Collison Warning (RCCW) detects when another vehicle may have entered the car’s reversing path. 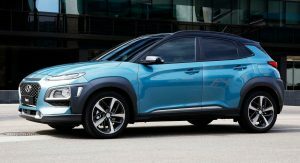 Based on a brand-new platform that’s shared with the upcoming Kia Stonic, the Kona measures 4,165mm (164 in.) long, 1,800mm (70.9 in) wide and 1,550mm (61 in.) tall, riding on a 2,600mm (102.4 in.) wheelbase. Hyundai claims to have optimized the underfloor layout, including the available 4WD drivetrain and exhaust system, to reduce central tunnel intrusion, as well as the suspension component layout to allow for a lower floor and seating position. 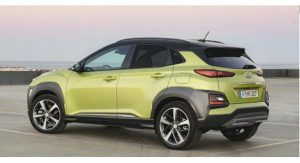 The Kona will come with split-folding rear seats that fold flat, with a two-level loading floor that is said to allow easy access for a bicycle or golf club storage. 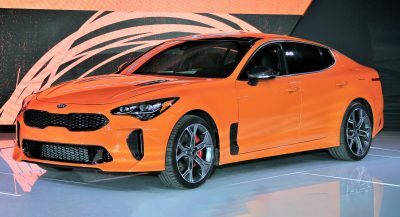 In most markets, the base engine will be a 2.0-liter naturally aspirated four-cylinder producing 147hp (149PS) and 132 lb-ft (179Nm) of torque paired to a six-speed automatic. 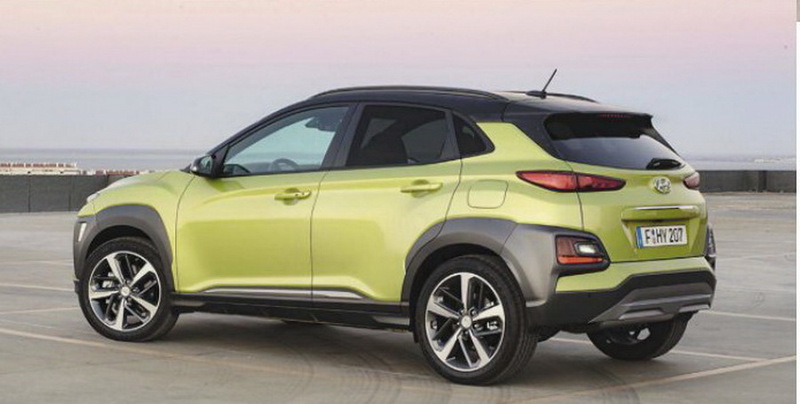 With this engine, Hyundai claims a 0-62mph (100km/h) time of 10 seconds and a top speed of 120mph (194km/h). 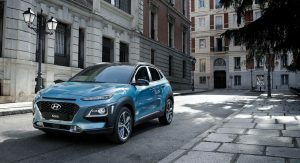 Those looking for more oomph will have to step up for the 1.6-liter turbocharged four (1.6T-GDI) with 175hp (177PS) and 195 lb-ft (265Nm). 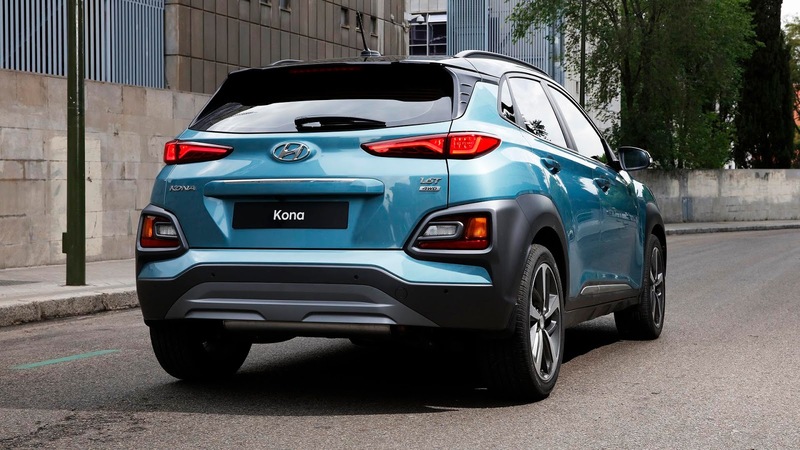 Mated to a seven-speed dual-clutch transmission (7DCT), it can take the Kona to 62mph (100km/h) in 7.7 seconds and on to a maximum speed of 130mph (210km/h). 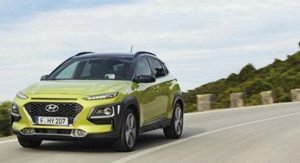 European buyers will also be able to opt for Hyundai’s downsized 1.0-liter T-GDI turbocharged three-cylinder gasoline engine with six-speed manual transmission. 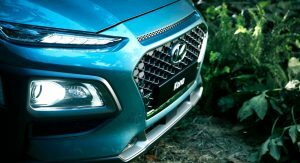 It delivers 118hp (120PS), a 0-100km/h time of 12 seconds, top speed of 181km/h (112mph) and maximum torque of 172NM (127 lb-ft) from 1,500 to 4000 rpm. 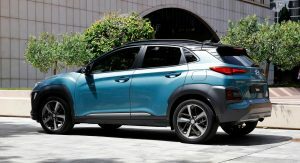 Also available will be a 1.6 diesel engine for select markets, including Europe. 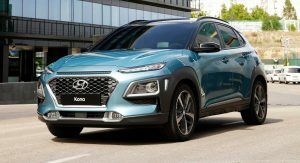 Hyundai also announced an ‘Iron Man’ special edition version of the Kona that’s said to be 40mm wider and feature special LED headlights, which sit beneath a matt grey hood, embellished with red and gold accents. It also gets 19-inch directional wheel badged with an Iron Man Mask in the center as well as off-road tires 716mm in outside diameter. No other details were released. only a mother could love. 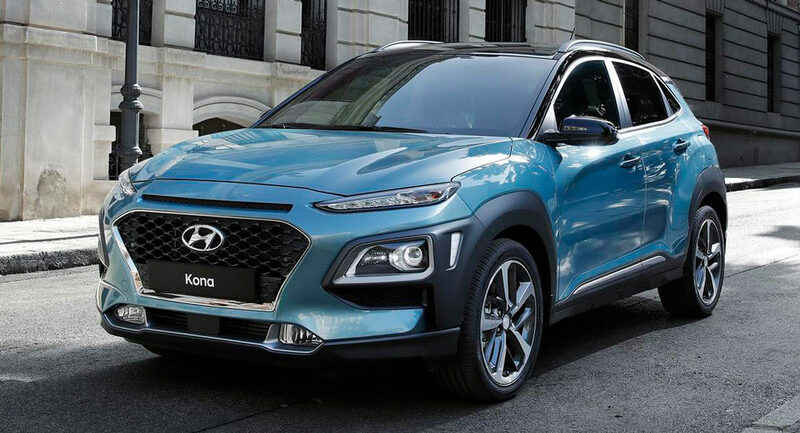 Looks great to me, much better than Nissan Juke, except the interior which is typical Hyundai and a bit on the cheap and ugly side. 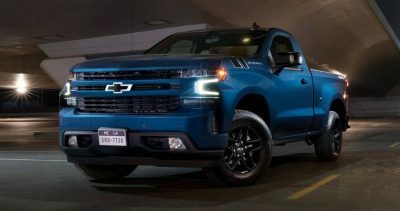 I’m surprised they went with Cherokee headlights. Good eye. That’s where it first came from. For some reason it looks good on a Citroen, awkward on Jeep and Hyundai. I like it a lot! A little on the busy side – but very nice. Did they need to add the extra lights to the rear also? Could have been easily integrated into the lights above. I guess they did as they wanted the rear grey plastic to follow the same design theme of the front. If there were no lower lights then what would they put there instead, a fake grille perhaps? I love it in blue. They can keep the green! IF THEY’RE GOING AFTER THE JUKE THEN THE STYLING MAKES SENSE. Well, I do like the side profile of the vehichle. To hell with all these CUV’s. I’ll take an Isuzu Vehicross. Years ahead of its time and better than anything present. Kona exterior interior detail image! Not Jeep Cherokee level of ugly, but close. Looks good, very good. I really don’t understand what they were going for with those C4-Cactus inspired plastic bits…they’re just odd. Too many lights going in both the front and rear ends. 8 light clusters in the front, that’s a record!! What a mess of inspirations on that design, looks like a chinese car. I like the design, but too many light elements. Hopefully this is a high spec. car, and lesser trims may not include so many light elements. The interior is OK, not as flashy as the exterior. 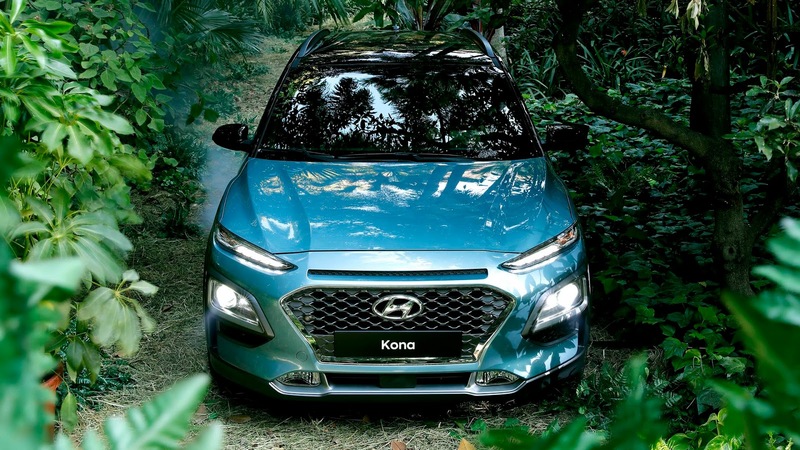 At least they choose to use the I30 interior, rather than the ultra-boring Elantra. Looks normal compared with the Juke or the Chr …. 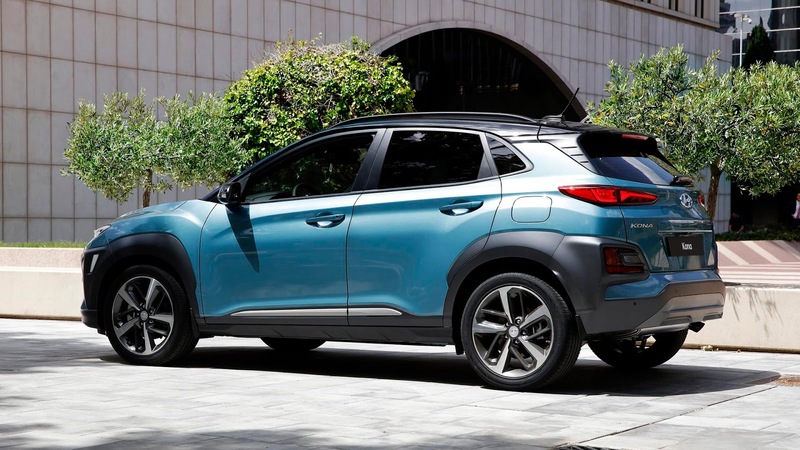 I’m getting a Citroen, Jeep Cherokee meets Pontiac Aztek vibe here.